The Politics of Memory offers reflections on the Global South. The articles published share critical assessments of the ways in which historical interpretations and assumptions are both represented and consumed in media, politics, pop culture, and other realms of the public sphere. 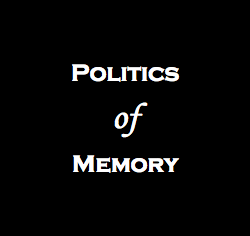 The Politics of Memory is affiliated with the History Watch Project and shares the same mandate. It is edited by Dr. Audra A. Diptee.